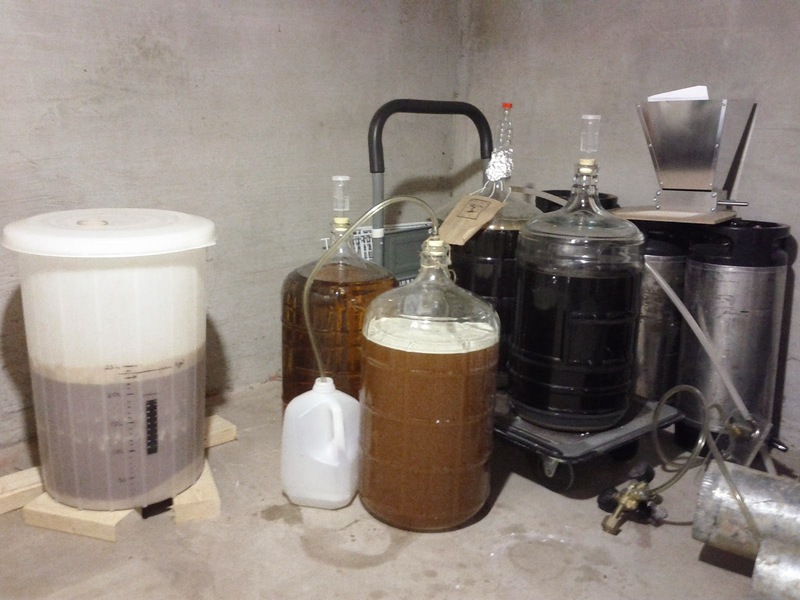 (Kegged), plus some empty kegs and a barley crusher. Mix 5 gallons of fresh pressed cider with 2 tsp yeast nutrient (2X the recommended amount for wine), the dextrose, and 1.5 tsp pectic enzyme. The enzyme will help clear the cider by coagulating the pectin. NOTE: pectic enzyme is the opposite of the pectin added to jam. Do not add jam-making pectin! Wait 4 hours for the pectin to begin working, then add a packet of Nottingham yeast, attach the blowoff tube, and let ferment for a week. Transfer to a new carboy, and age for ~4 weeks. Transfer to a keg, along with the recommended amount of potassium sorbate. This will prevent additional fermentation, allowing us to backsweeten. Backsweeten to taste with frozen apple concentrate. That’s it! At the time of this post we have just begun fermentation, but I will follow up with updates as the cider progresses. I'm in the same boat….. Thank God the first day of our trip to Belgium we found Kriek!